This is the second in a four-part series chronicling international club tournaments in South America and Europe in the era before the Copa Libertadores and European Cup. Read part one here. The starting point for the integration of European club football is often said to be the friendly between Wolverhampton Wanderers and Budapest Honvéd in 1954. The English champions came back from an early 2-0 deficit to claim a 3-2 victory over their Hungarian counterparts. Their counterparts in France and Austria, responding to the English hubris, proposed the formation of a Europe-wide club tournament to determine the champion of the continent in a manner fairer and more comprehensive than a one-off friendly. Within one year, the European Cup began. But the idea of having a European club tournament was hardly a novel one. Sports journalists had been clamouring for the idea since the 1930s. While it took decades for their aspirations to fully come to fruition, the first successful international club competition in Europe was first held not in 1955, but in 1927. It all began with the Mitropa Cup. Nowhere in continental Europe did football take off as quickly as it did in the urban centres of the Austro-Hungarian empire. The first game in Vienna took place on 15 November 1894 and within three years the members of Vienna Cricket established Der Challenge-Cup, a competition open to teams from around the empire. Only Viennese teams took part in the first three editions, but soon after clubs from Prague and Budapest also joined. The three cities would come to be the epicentre of European football. The developing football rivalries were magnified by the growing ruptures within the empire along ethnic lines. Football skyrocketed in popularity in the aftermath of World War I. In 1924 a Viennese professional league was established, the first outside Britain, and Austria’s neighbours followed soon after. Matches in Vienna regularly drew crowds of 40-50,000 people. Only Budapest and Prague came close in their obsession. The visionary and evangelist of Austrian football during this era was Hugo Meisl. After time spent as a player, functionary in the Austrian FA, and referee, Meisl became coach of the new Austria in 1919. He was a tactical mastermind who pioneered a fluid, free-flowing attacking system with an unorthodox withdrawn centre-forward called the ‘Danubian Whirl.’ His Austrian side became known as the Wunderteam and was celebrated as one of Europe’s best in the late 1920s and early 1930s. Beyond his sporting achievements, Meisl also possessed impressive business acumen. He was the driving force behind the professionalisation of Austrian football in the 1920s. But the transition to professionalism was difficult for many clubs inexperienced in commercial affairs, and they struggled to manage player salaries and other expenses. The clubs needed new sources of revenue, and Meisl saw opportunities abroad. Meisl had a vision of a continent-wide tournament, but logistical concerns, primarily over travel times and costs, made such a venture in the 1920s an unwieldy prospect. However, the developed railroad transport links and long-standing historical ties between the countries made Central Europe an ideal breeding ground for launching a competition on a regional scale. Meisl organized a meeting in Venice in 1927 that was attended by representatives of the Austrian, Hungarian, Czechoslovak, Italian, and Yugoslav federations. They agreed on forming a knockout tournament with a straightforward format of two-leg, home-and-away ties, featuring the best clubs from each country, to take place either just before or after the domestic season. And thus was born the tournament officially known as La Coupe de l’Europe Centrale: French for Central European Cup, despite the complete lack of French involvement in the project. Popularly, it was known as the Mitropa Cup. It was a fitting name, as Mitropa is a short form for Mitteleuropa, a German term for Central Europe. Moreover, Mitropa was the name of a German sleeping car company that transported teams and supporters to and from matches. The first European international club tournament, organised primarily for financial reasons, already had a sponsor. The 1927 meeting in Venice also spawned a regional tournament for national teams: the Central European International Cup. The integration of European football had entered its initial phase. The Mitropa Cup was a financial and sporting success from the beginning. Support was enthusiastic, gate receipts were high, and the matches were the first to be broadcast live on the radio in Europe outside of Britain. The first edition of the tournament featured two teams each from Czechoslovakia, Hungary, Austria, and Yugoslavia. The teams from the former three all hailed from Vienna, Budapest, and Prague, as expected. Yugoslavia’s representatives were Hajduk Split from Croatia and BSK Beograd of Serbia. Any fears that the tournament would not be taken seriously by supporters were quickly assuaged. Sparta Prague and Rapid Vienna reached the inaugural final, and Sparta hosted the first leg. A 6-2 victory by the hosts in front of 25,000 rapturous fans culminated in a pitch invasion. The return leg in front of 40,000 Rapid supporters ended acrimoniously. Rapid’s 2-1 victory was not enough to overturn the first leg deficit, and at the cup ceremony Sparta’s captain Karel Pešek was injured after being struck in the forehead by a rock. 200 policemen were called in to protect the Sparta players from the partisan crowd. The Austrian weekly Illustriertes Sportblatt headline called it the “great tumult.” It was the first of many turbulent events in the competition’s history. The Yugoslavs were from the outset the odd men out. The German weekly Der Kicker disparagingly referred to them as the Lückenbüßer, the “stopgaps” of the competition. Their performances justified this unfortunate moniker. In 1927 Hajduk lost 9-1 on aggregate to Rapid, while BSK slumped to an 8-2 defeat to MTK Hungária. BSK suffered a 13-1 thrashing at the hands of Ferencváros the following season, the most lopsided result in the competition’s history. The following year Yugoslav clubs pulled out of the competition altogether. Italian football followed its own trajectory of development, but it was very much interconnected with the ‘Danubian school’ centred in Vienna, Budapest, and Prague. Many of Italy’s best clubs, especially from the Northern part of the country, imported managers from Central Europe throughout the 1920s and 30s. Bologna, winners of five Scudetti during this period, had an Austrian at the helm from 1920-31 and were led by Hungarians for much of the 30s. Milan and Inter similarly recruited their managers from the region, and Udinese had an uninterrupted string of Hungarians in charge from 1920 through 1937. The Italians referred to the distinctive regional style as Calcio Danubiano. Italian clubs’ participation in the Mitropa Cup was therefore a natural development. Their entrance into the competition ushered in its golden age. It is no exaggeration to say that the best players of the era outside of Britain and South America all took part in the Mitropa Cup. The competition’s top scorers were some of the greatest forwards in history, who are not as well remembered as they deserve to be only because they performed in the pre-television age. Giuseppe Meazza and Raimundo Orsi were both World Cup Winners with Italy. Mathias Sindelar was the icon of the Austrian wunderteam and was named the country’s sportsman of the century. Josef Bican represented both the wunderteam and his native Czechoslovakia and with at least 805 goals in competitive matches is considered by Rec.Sport.Soccer Statistics Foundation to be the most prolific goalscorer in history. György Sárosi of Hungary captained his country to the 1938 World Cup final, where he scored a goal in a 4-2 loss to Italy. In the final of the 1934 World Cup between Italy and Czechoslovakia, 20 of the 22 players on the pitch participated in the Mitropa Cup on at least one occasion. 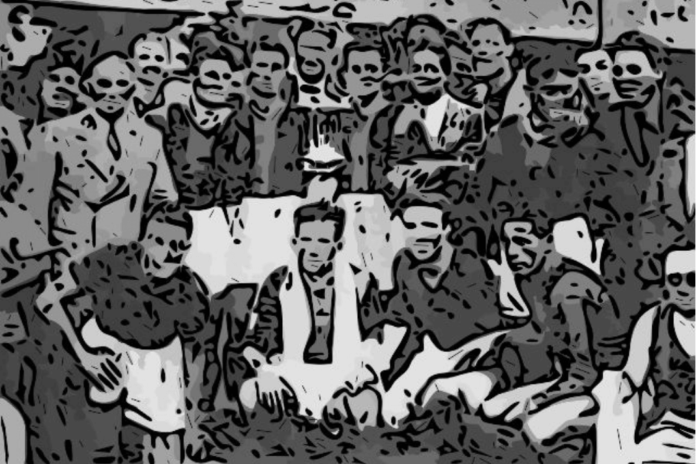 Two of the players in Italy’s squad won the competition with Bologna in 1934, and three of the Czechoslovakian side were champions with Sparta Prague the following year. The fourth place Austrians and the Hungarian side that they eliminated in the quarterfinals were also heavily made up of Mitropa Cup veterans. The football was universally free-flowing and attacking. In the first 10 years of the competition, Mitropa Cup ties produced an average of 4.2 goals per game. No one team or country dominated the competition, a reflection of the parity between the nations at club level. Austrian and Hungarian clubs won four titles each, Czechoslovak clubs three, and Italian clubs two. No single club won more than two titles. Bologna were the only Italian winners in the pre-war era of the Cup, winning in 1932 and 1934. Ambrosiana Inter (the fascist era name of the club) and Lazio were losing finalists in 1933 and 1937, respectively. Unsurprisingly, outside of Italian clubs no teams from outside Vienna, Budapest, or Prague reached even the semi-finals before 1939, by which point Austrian teams were no longer taking part. The quality on display as well as its profitability meant that the Mitropa Cup continued to grow in popularity. In 1934 it expanded from eight to 16 teams, with four from each of the participating countries. In 1936 a qualifying round was added to accommodate the inclusion of clubs from Switzerland. The following year Yugoslav clubs were readmitted and teams from Romania took part for the first time. There were even plans to invite teams from Spain and France. Hugo Meisl died in 1937, just as his dreams for a Europe-wide tournament looked to be becoming a reality. But the storm clouds of war gathering over Europe were about to shatter the continent’s fragile peace, and Meisl’s vision was put on hold indefinitely. Just weeks before the Mitropa Cup kicked off, Italy and Hungary signed a treaty of friendship and cooperation. The two countries along with Austria then signed a series of agreements in the early 1930s pledging economic cooperation and relaxation of customs duties. Mussolini also saw himself as the personal guarantor of Austria’s independence, which was threatened by the spectre of annexation by a resurgent Germany led by Hitler. In this context, the integration of football as exemplified by both the Mitropa Cup and the Central European International Cup can therefore be interpreted as part of a wider diplomatic strategy aimed at fostering closer relations between the countries of the region. But in reality, Mitropa Cup football exacerbated existing tensions far more often than it alleviated them. The first diplomatic flare-up occurred even before the Mitropa Cup began. For unclear reasons, the quarter-final match between MTK Hungária and BSK Beograd was scheduled to take place in Subotica, a Yugoslav city on the Hungarian frontier that before World War I was part of the Austro-Hungarian empire. The MTK players were refused entry visas, but the affair was eventually resolved, and the match took place in Belgrade without further incident. In 1927, following the rioting at the Rapid – Sparta final, Sparta’s management banned its players from traveling to Vienna. The secretary of the Czechoslovak federation called for an economic boycott of Austria and even advised citizens against entering the country. Nevertheless, two Prague-based teams travelled to Vienna in 1928. Similar disturbances unfolded during a semi-final between Slavia Prague and Juventus in 1932. The Slavia manager threw a bottle at an Italian player involved in a collision with one of the Czech players and made unsavoury gestures at the rest of the Juventus squad. Slavia ran out 4-0 winners, but the match again ended in a brawl and pitch invasion. In the return leg in Turin, Juventus were leading 2-0 when Slavia began to resort to time-wasting. Slavia’s goalkeeper František Plánička was struck by a missile from the increasingly riled-up crowd. Slavia walked off the pitch, and over 1,500 policemen were brought in to protect them from the home support. Both teams were kicked out, and Bologna were awarded the cup. 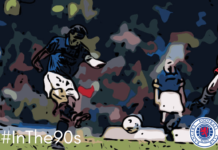 Relations between Czechoslovakia and Italy had been deteriorating for some time, as Czechoslovakia had entered into a military alliance with France, and the events on the pitch only aggravated an already tense situation. Naturally, the press of the two countries blamed each other. The official newspaper of the Italian Olympic Committee even invoked memories of the First World War, when Italian troops provided food and shelter to Czech deserters from the Austro-Hungarian army. Simon Martin writes in Football and Fascism that the Italian reaction was “the clearest demonstration of the way that Calcio had become the regime’s representative abroad and a diplomatic barometer.” The affair led to the resignation of the chairman of the Mitropa Cup committee, and the Austrian referee from the return leg was barred from entering Czechoslovakia. If the preceding incidents can be called diplomatic spats, what followed was a full-blown crisis. By 1937, relations between Italy and Austria had soured. Mussolini turned away from his Austrian allies in favour of closer relations with Nazi Germany. As a result, Italy no longer stood in the way of the creeping Anschluss. In this tense climate, Genova travelled to Vienna for its first leg quarter-final against Admira. Another mass brawl broke out, this time after the referee awarded a penalty to the home side. Genova midfielder Arrigo Morselli ended up with a triple fracture of the jaw. The match itself ended 2-2. The report of the Italian ambassador to Austria on the events in Vienna convinced Mussolini himself to ban the return match. The Admira squad, already in Venice en route to the second leg in Genoa, were expelled from the country. The head of the Austrian Foreign Office demanded an explanation from the Italian Minister of the Interior, and the Austrian ambassador in Rome also made appeals. The match never took place and the organising committee kicked out both teams. Lazio were thus granted a free passage to the final, which they lost to Ferencváros. As an Austrian diplomat aptly and lamentably observed, the Mitropa Cup was resolved in the embassy more often that on the pitch. Austrian clubs took part for the last time in 1937. By 1938, the country was annexed by Nazi Germany following the long-feared Anschluss. But the tournament continued through 1940, even though war had already broken out. The final of the 1940 edition was set to take place between Ferencváros and Rapid Bucharest of Romania. It was the first time a club from outside the ‘big four’ countries had reached the final. But it never took place. On 30 August 1940, the territory of Northern Transylvania was awarded to Hungary from Romania. Under these circumstances, a match between sides from the two countries was unthinkable. It was sadly a fitting finale for a tournament that for its brief but illustrious history had been plagued by the intrusion of politics. With war raging across the continent, the Mitropa Cup was abandoned soon after. Following the war, Central Europe was devastated. The organisation of a football competition was not a priority. Moreover, the countries found themselves on either side of the Iron Curtain, complicating any efforts at a revival. An unofficial edition known as the Zentropa Cup was held in 1951 and was won by Rapid Vienna, and in 1955 the Mitropa Cup was permanently revived. The same year also witnessed the beginning of the continent-wide European Cup. Meisl’s vision had become a reality, and the Mitropa Cup was now nothing more than a side act. Despite losing much of its prestige, the Mitropa Cup trudged along through 1992. Hungarian side Vasas won six titles during this period, and they have the honour of being the competition’s most successful club. In the 1980s, the Mitropa Cup was reorganised into the tournament for the champions of the second divisions of the participating countries. Milan, relegated twice in the early 80s, were the most prominent winner of the competition in this era. Curiously, Milan’s legendary defender Franco Baresi would later become the only winner of both the Mitropa Cup and the European Cup. The last edition in 1992 was won by Borac Banja Luka of Yugoslavia. They defeated Hungarian side Budapesti VSC in Foggia, Italy, as a civil war was erupting back home. With Yugoslav clubs no longer able to take part, the Mitropa Cup was scrapped altogether. The post-war Mitropa Cup lost all of its allure and grandeur and was overshadowed by the glamorous European Cup. But the Mitropa Cup has its place in the history of European football. Not just as a template for future tournaments, but as the showpiece for the finest football of its time. 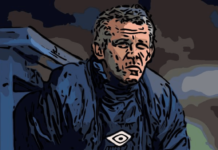 Previous articleDeja Vu: Are Manchester United emulating Liverpool?